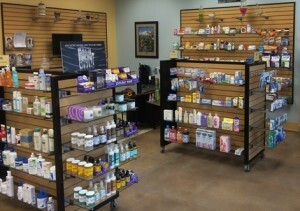 We also offer an extensive over-the-counter area, complete with health and beauty essentials, seasonal medications, homeopathic remedies, aromatherapy, first aid and diabetic supplies, as well as other alternative solutions for your convenience. We are not just a pharmacy. From greeting cards to bath and beauty products, from local companies such as Lava Love and LeCol’s Soap Bar and specialty gift items from Central Oregon artisans that include Jennifer Newton Jewelry and Just a Little Charm, we offer a little bit of everything for everyone.